Subaru Ascent takes the Rocky Mountain region by storm and wins another award. The Rocky Mountain Automotive Press (RMAP) which this journalist is a member of, announced its members have named the 2019 Subaru Ascent as the Rocky Mountain SUV of the Year. The Ascent family hauler is on display at the Denver Auto Show, which runs from March 27-31, 2019 at the Colorado Convention Center. The RMAP vehicle nominating committee considered performance, fuel economy, value, and vehicle features to narrow down the field to four finalists in the Rocky Mountain Sport Utility Vehicle (SUV) of the year. The finalists for 2019 were the Chevrolet Traverse, the Subaru Ascent, the Nissan Rogue and the Volkswagen Atlas. After voting by the entire RMAP membership was complete, the Subaru Ascent was the undisputed winner. Subaru is the smallest Japanese automaker but they are doing well against their larger rival Nissan and their German competition Volkswagen and American rival Chevrolet. Subaru doesn’t make the top 10 in sales but they are building quality SUVs like the all-new Ascent 3-Row. Ascent is an all-new 3-Row SUV which was specifically designed for North American families. Ascent is more than a pretty face and works well for active families who want to get away from the busy city. Ascent has received numerous other awards from around the country. The family hauler wins Consumer Reports Best SUV in the Mid-sized SUV segment, it was awarded “Family Vehicle of the Year” by the Midwest Automotive Media Association, takes the Editors’ Choice award by Car and Driver, and achieves an IIHS TOP SAFETY PICK+ award for safety. 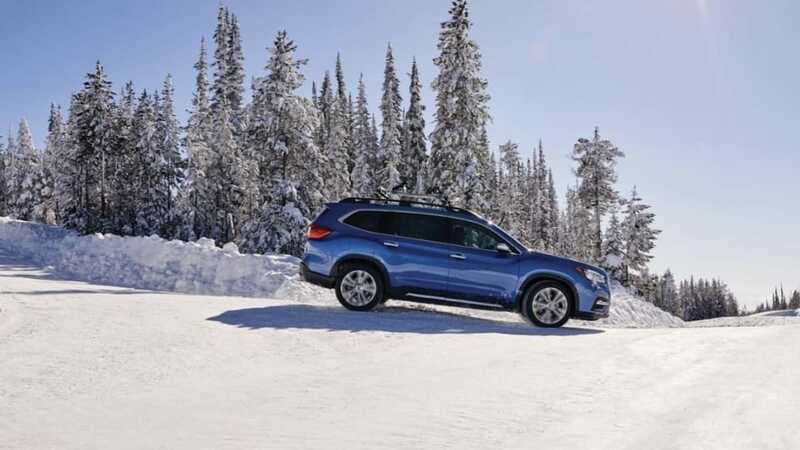 The RMAP SUV of the Year award recognizes vehicles that are all-new, like the 2019 Subaru Ascent, or significantly revised for the 2019 model year. We drove the Ascent family hauler for a week last summer in the mountains of Colorado. You can read our latest review here.